The Dare to Hope Foundation recently presented the 5th Annual All Aboard for a Cure. 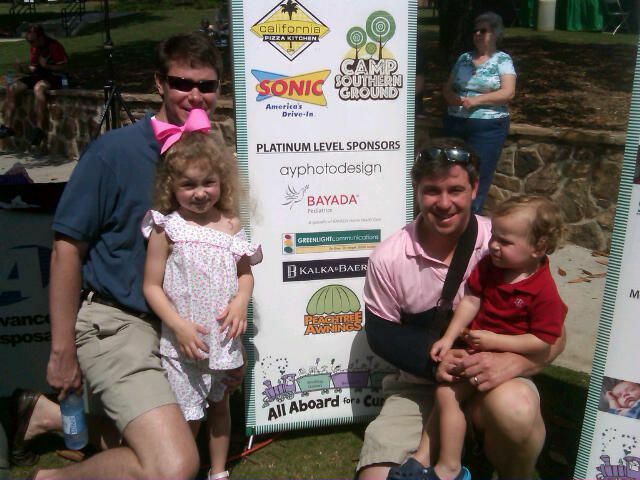 The one-mile walk and family fun day benefits the Palliative Care Team at Children’s Healthcare of Atlanta. This team takes a multidisciplinary approach to caring for patients by focusing on relieving suffering, slowing the progression of disease, optimizing function, and improving the quality of life at any stage of disease. The walk took place April 28th at Thrasher Park in historic downtown Norcross. The event raised funds and increased awareness for the admirable cause. In total, this year’s All Aboard for a Cure raised more than $52,000! Proceeds go straight to developing and bettering CHOA’s Palliative Care Team. The hope for this money is for a future outpatient clinic and a more comprehensive symptom management service for those children with complex medical conditions. All Aboard for a Cure continues to make a difference in the healthcare of children’s lives. And, Kalka & Baer was honored to be a part of this year’s event as a platinum level sponsor and supporter of The Higgins Family.